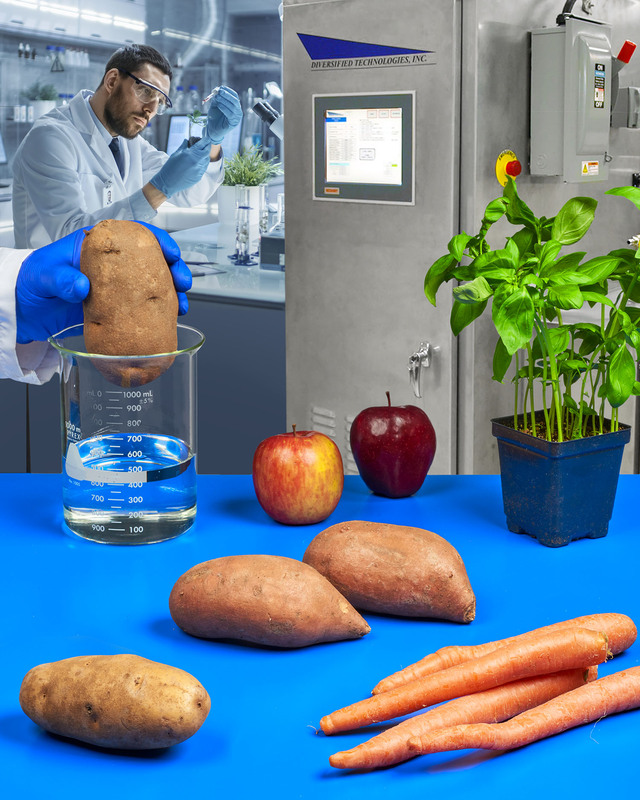 A PEF (pulsed electric field) laboratory system for pre-treating whole pieces of fruits and vegetables to let users establish parameters for production scale-up has been introduced by Diversified Technologies, Inc. of Bedford, Massachusetts. Diversified Technologies’ Laboratory PEF System is a fully integrated pilot system that can accommodate the pre-treatment of whole pieces of fruits and vegetables in 0.5 liter batches in addition to a liquified flow. Capable of achieving up to an 80% reduction of drying energy or up to 50% increase in juice yield, this precursor system for drying, juicing, and frying lets users evaluate their process and create parameters for production scale-up. Featuring 5 kV/cm in batch mode and up to 40 kV/cm continuous, Diversified Technologies’ Laboratory PEF System provides a 5 log pathogen kill and permits the quantification of process improvement. Suitable for R&D, batch testing, and process development, it can now be rented for 1 to 3 months to allow cost-benefit calculations prior to considering a capital investment. Diversified Technologies’ Laboratory PEF System is priced from $85,000.00, depending upon configuration. Literature is available upon request.